Congratulations to our November Athletes of the Month – Danielle and Tate Hartman! 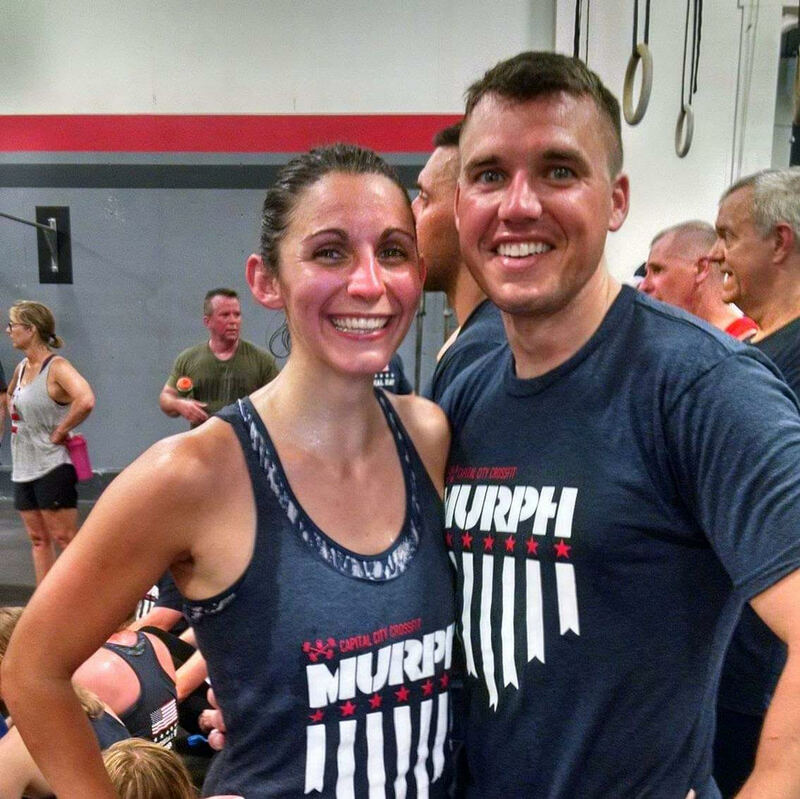 Both Danielle and Tate are coming up on their one year anniversaries at Capital City CrossFit. Since joining they have immersed themselves into the C3 family, becoming integral members of our Community. Both can be found at the gym five or six days a week. Tate early in the morning, and Danielle mainly in the afternoon, and they never miss a Saturday morning Partner WOD. Neither are afraid to ask for guidance when there is something they’d like to get better at. Tate has recently put in a lot of time and effort to improve his high level gymnastic movements such as butterfly pull-ups, bar muscle-ups, and handstand push-ups. Danielle’s focus has been on her lifting technique and also her gymnastics skills. Both are seeing great improvement in these areas because of dedication and commitment to practice. For anyone who has spent time around Tate and Danielle, they know that these two have infectious personalities and bring nothing but positive vibes everywhere they go. Congratulations to both Danielle and Tate Hartman, our November Athletes of the Month! TH: I was born and raised here in Springfield and graduated from Sacred Heart-Griffin. 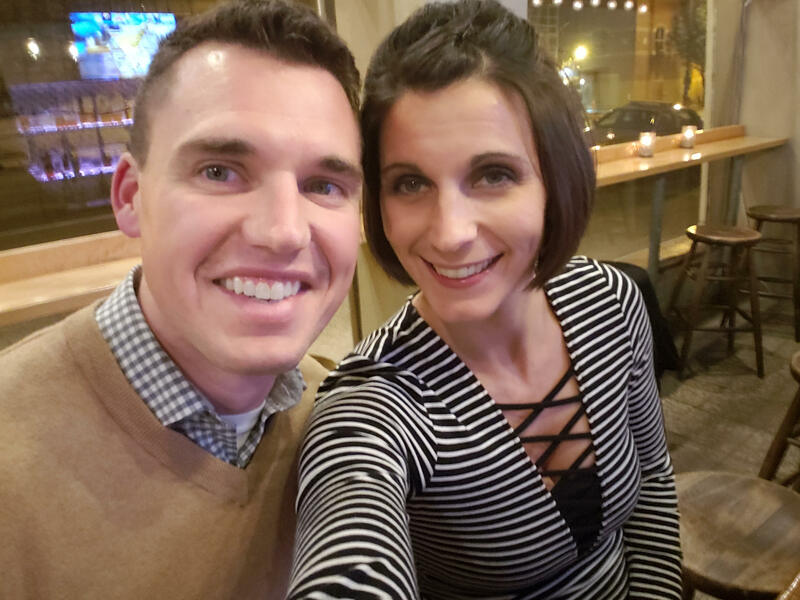 I earned a Bachelor’s in Psychology from the University of Dayton and Master’s Degree in Clinical Psychology from EIU, where I met my wife, fellow AOTM Danielle Hartman. We moved to Springfield following grad school, and I’ve been working at Heartland Credit Union since 2010. DH: Last November I started thinking about joining CrossFit. I researched the different CrossFit gyms here in Springfield. I selected C3 because my friend Kate went here, and I saw that one of the coaches was from Red Bud. When I started, I was looking to tone up. I enjoy running, but I just wasn’t feeling strong. I was hoping this would be the right fit for me. I feel kind of fortunate because I was the only person who was in my On Ramp class. Before CrossFit, I would never have considered myself to be an athlete. I was really nervous about looking awkward with some of the weightlifting moves, but Jordan was a great coach. Braeden, Jesse, and Ashleigh were there at the same time and they did a great job encouraging me. After On Ramp, I was hooked on CrossFit. TH: I’d seen some of the Games on TV, and it seemed interesting, but I didn’t think too much of it until Danielle expressed interest. She joined in December 2017, and I figured if she was going to spend an hour every day at the gym, it’d probably be good if I did too, so we could spend some more time together. Of course, the way our schedules work is that most of the time, we end up working out at different times. DH: I am so much stronger than I have ever been. I’m eating better. I have more energy. I would say I am a happier person. What do you think, Tate? TH: I love the challenge of learning a new movement/exercise and getting better at it. I feel like I’ve gotten in great shape, built up a lot of strength, and have been able to push myself further than I have before when exercising. I think what’s great about CrossFit is that there’s always room to improve; if you’re scaling, you can increase your weight or movements, or move up to Rx, you can improve your times. There’s always a way to challenge yourself. DH: I have three goals for the next year: master double-unders, string together my pull ups, and string together toes-to-bar. TH: I’d love to be able to string together some bar muscle-ups and ring muscle-ups. I’ve made peace with the fact that I (probably) won’t be able to back squat 400 lbs, but if I can excel at the body weight movements, like muscle-ups, pull-ups, toes to bar, HSPUs, I feel like I’ve got a shot to put up some good scores. DH: I loved the CrossFit Open. It was so much fun and I am looking forward to the Open next year! TH: There’s been a ton of great moments, but probably getting through my first Murph or getting my first bar muscle-up. The C3 Open was a blast, especially for Team MetCon to come back and steal the win at the end. I’m doing my first competition later this month, so I’m sure that’ll be right up there, too. DH: I don’t think there is a WOD that I haven’t liked. There have been a lot of challenging WODs but each one has pushed me to be stronger. TH: Nothing stands out as least favorite, although there’ve been quite a few that I’ve struggled with. The great thing about CrossFit is that it can be very, very humbling at times. I remember thinking that I was getting pretty good at HSPUs, and trying to do them during a WOD and my shoulders just giving up. DH: The community! Being at the gym is one of the highlights of my day. I love working out with the 5:30 crew. This place feels like a second home for me. I also love Saturday work outs because I get to see my friends from other class. TH: The people, by far. I’ve made some really good friends in the short time that I’ve been here, and everyone has been really welcoming and supportive. I’m glad to have coaches like Brian and Scott who take the time to watch what I’m doing and let me know how I can get better. I definitely feel like they’ve got a vested interest in seeing me, and everyone, succeed in CrossFit. Of course, like Danielle said, the Saturday partner WODs are a blast. DH: I think we are exact opposites on these moves. I am a big fan of the more cardio intense movement. Kettlebell swings, box jumps, burpees, wallballs. I also enjoy deadlifts. TH: I feel like I’m actually pretty decent at deadlifts, given my size. I feel like I’m getting pretty good at pull-ups/C2B, too. Even though I’m not real proficient at them, bar and ring muscle-ups are fun to do. *Rest 2:00 after each round.